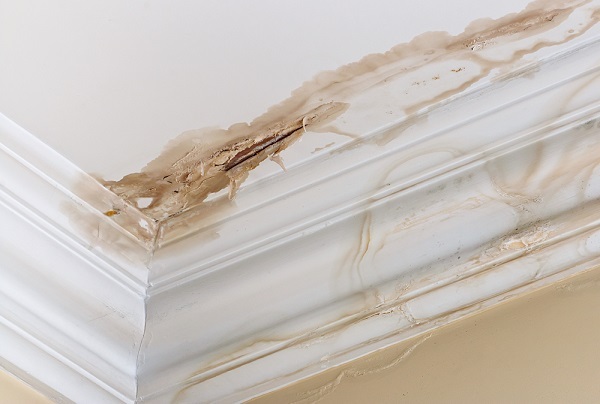 A leaky roof doesn’t only ruin your home’s overall facade; it also puts you and your home at risk. A leaky roof is the kind of household problem you don’t want to prolong. Extending it further will only cause you a lot more money to repair it and a lot more trouble to face dealing with it, especially if it starts even as a small leak. It is very critical and can pose a lot of safety and even health risks. Here are some of the dangers a leaky roof can bring unexpectedly to homeowners. Electrical wirings in your attic can short once water comes into contact. It can create a serious fire hazard, so the best thing to do is to call an electrician to turn off the electricity and reduce your risk by examining the wiring for safety. Your attic, ceiling and other roof components can get damaged by water once a roof starts leaking. It can also cause discoloration of the ceiling paint as well as harm lights and ceiling fans. The wood can also rot which can be very expensive. Mold and mildew will grow because of the moisture water can bring. It can spread through your HVAC system, affect your belongings and cause respiratory ailments. Leaks can saturate your attic insulation with water, and it won’t be able to perform very well, causing your home heating or cooling costs to increase. A small leak you think you can ignore can expand and cause a lot more problems than you expected. So the next time you suspect your roof is leaking, take action as soon as possible before you put yourself and your home at risk.